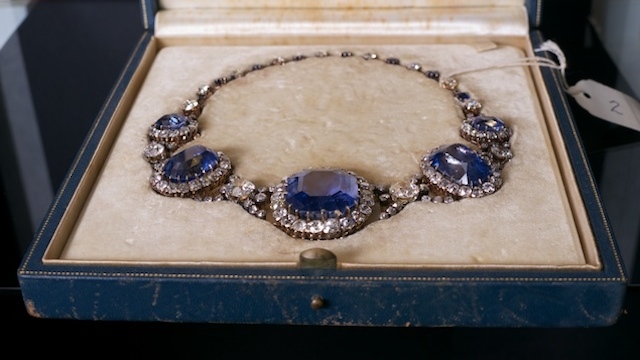 →Marcos jewels to be finally shown? Marcos jewels to be finally shown? 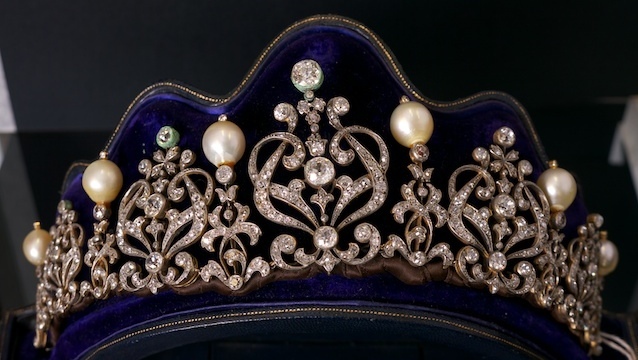 MANILA, Philippines – On the 40th anniversary of the declaration of martial law, a public exhibit of the jewels seized 26 years ago from former First Lady Imelda Marcos is being planned again and this time it may actually happen. They’re worth at least US$8 million. “We are looking to exhibit the jewelry — if we get the necessary approvals — if not by the end of the year, at least by our anniversary in February” of 2013, said Maita Chan-Gonzaga of the Presidential Commission on Good Government (PCGG). Gonzaga told Rappler that for the first time since the PCGG was established in 1986 by former President Corazon Aquino, all its members are in favor of submitting a formal proposal regarding the exhibit to the Office of the President. “There were attempts in the past by our predecessors, but for one reason or another it has never actually pushed through,” the commissioner said. The jewels have sat in bank vault for decades since they were confiscated as part of assets allegedly plundered by the Marcos family before it fled to US exile in 1986, after 20 years in power. 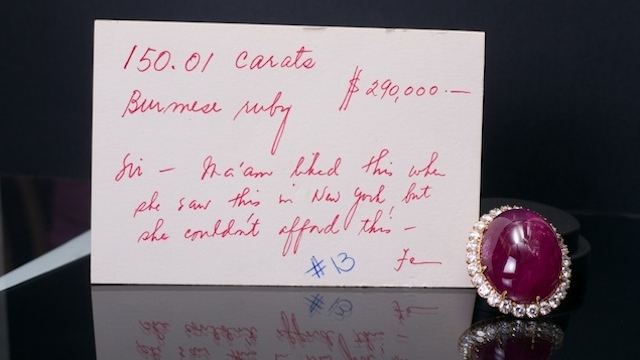 Part of the collection was recovered by the US government when the family arrived in Honolulu while other jewels were separately seized from Demetriou Roumeliotes — a Greek friend of Marcos — while he was trying to smuggle them out via Hong Kong. Gonzaga explained that in the past, there were always political considerations that held back the plan. However, the climate has changed under the current government led by President Benigno Aquino III, the son of the woman who helped expel Ferdinand Marcos from power. Since the Aquino administration “has always trumpeted that it is for transparency and accountability, then an exhibit of this nature (…) is appropriate for the times,” the commissioner said. This does not mean, Gonzaga pointed out, that there will not be objections from supporters of the Marcos family or the Marcoses themselves. 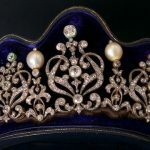 If and when the jewels are finally put on display, Gonzaga stressed that more important than the exhibit itself is conveying to the public that the items were purchased with ill-gotten wealth by the Marcoses. “We are not looking to exhibit the Marcos jewelry as the Philippine version of the crown jewels or anything like that. We are looking at it to convey historical lessons, the fact that these were assets that were products of plunder of ill-gotten wealth,” she said. As for the venue, the National Museum is willing to host and curate the exhibit and all the proceeds — if ever fees are charged — will go to the Comprehensive Agrarian Reform Fund, like all assets recovered by the PCGG. 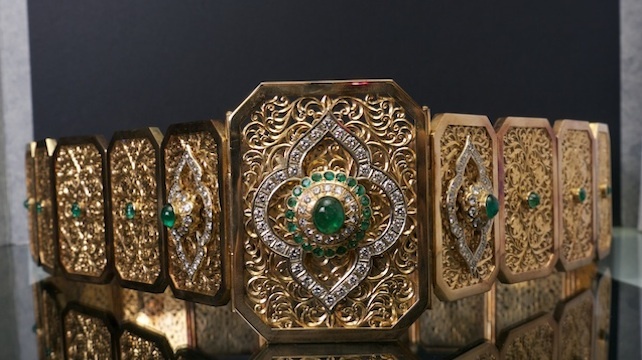 Regarding the legal status of the jewels, worth at least US$8 million, Gonzaga clarified that two of the 3 collections have already been forfeited in favor of the government, while the third still has a pending case in the Sandiganbayan. But even with that lot, valued at about $200,000, the PCGG has filed a motion for partial summary judgement so it can also be forfeited and therefore displayed. If the exhibit pushes through, Gonzaga revealed that the Marcos family is not totally against the idea.